Chase them! Catch them! Let them Race! A battery operated musical bath toy with a unique water circulation pumping system that creates a dynamic bath experience. Join the action, as the funny ducks begin their crazy water race around the fountain. 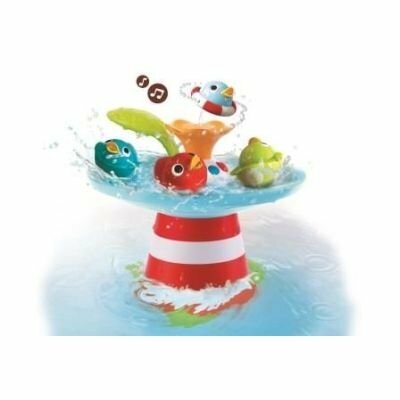 Enjoy the music while you catch a duck and place it on top of the fountain, to try out the surprising water and sound effects created as you press the leaf lever. Yookidoo® Musical Duck Race will make bath time an unforgettable joyful experience for both you and your baby.